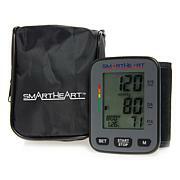 Keep tabs on your health with this convenient blood pressure monitor. 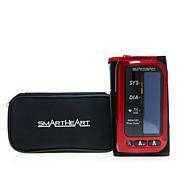 The easy-to-read display and automatic use makes tracking your heart rate and blood pressure simple. 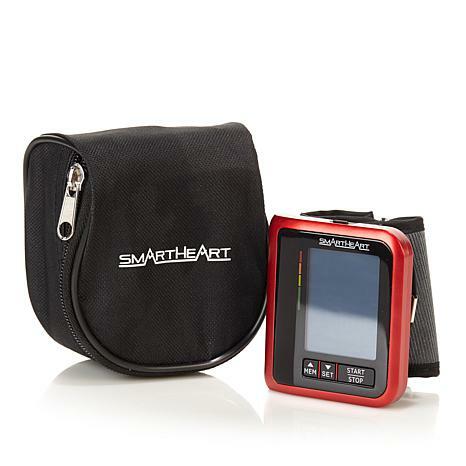 It is recommended that you first seek the advice and recommendation of your physician or healthcare professional when using home diagnostic devices, including blood pressure monitors. Your readings should only be interpreted by your physician or healthcare professional with access to your individual medical history. 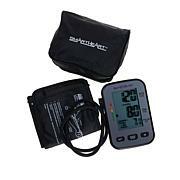 Regular use of a home blood pressure monitor will allow you to track trends and record your readings for discussion with your physician. People with hypertension, arteriosclerosis or diabetes should consult their physician about monitoring blood pressure at the wrist. Since my husband recently had a heart attack with AFIB and congestive heart failure , we are very pleased with this product. We are not tech people yet this is so easy to set up and use. I feel more content knowing he can check his own pulse and pressure. Thank You HSN for airing this product! I'm a true fan of this monitor and purchased 5 red ones for Valentine's Day family gifts. They are so easy to use and give accurate readings. I gave one to my Dad who is being treated now for irregular heartbeat. I was skeptical that the monitor wouldn't detect his condition, but to my amazement it absolutely did! 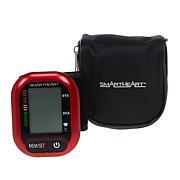 This device helps him at home between EKG's. I like that it charges like my cell phone without batteries. Thanks HSN and Veridian for this superior product... a true life saver. This is the 2nd one of these we have purchased. This one is for a gift for our daughter who requested one for her birthday. I have been told the wrist monitors was not accurate so I took mine to the doctor and it was right on with there monitor. Ship time and notifications have not been very good this time. Taking BP is such a breeze with this monitor. So much simpler around the wrist than wrestling with a big arm cuff as I have used in the past. The reading I got with this unit was in line with my Dr's reading. Taking my BP in a matter of seconds daily.